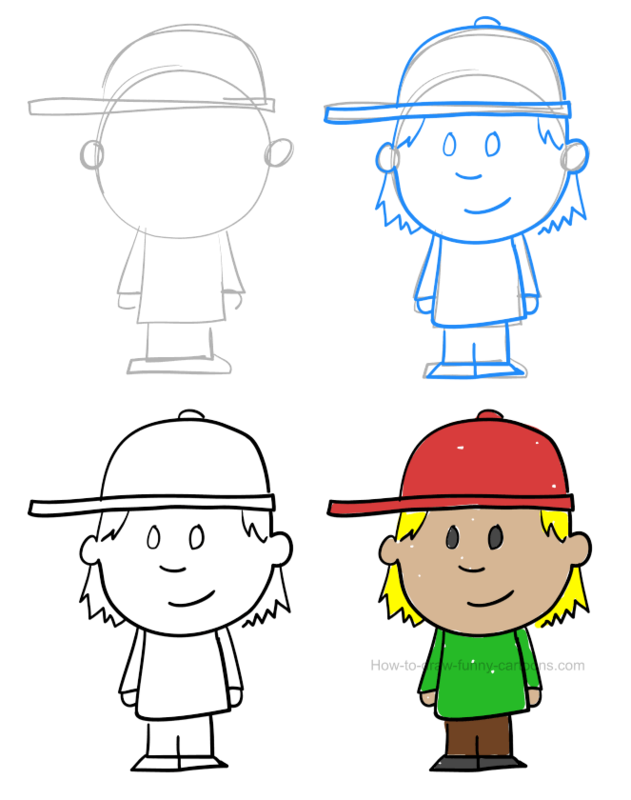 First, we need to sketch a few basic shapes to create a template that will be used as a guideline. 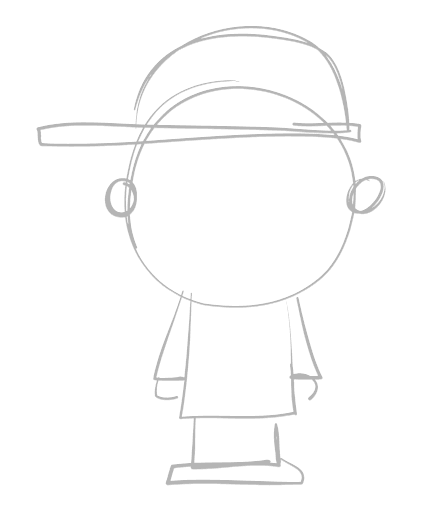 It's also during this crucial step that we need to make sure that all proportions are accurate. Don't hesitate to start all over if needed. This is the foundation of our character and it must be perfect! The head can be done using a large circular shape. Both ears are made from smaller circles. The cap is done using a long curved line. Rectangles are used for the body, the arms and the pants. Good work! Now we can use these simple shapes to draw the character using straight and curved lines. The eyes are made from small oval shapes. The mouth and the nose are created from short lines. You can also draw some hair using broken lines. Make sure the head is large compared to the body. It's now time to erase the template created earlier. All gray lines must be removed. 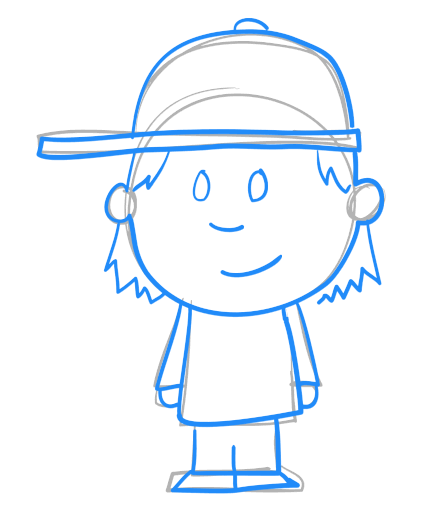 You can see below how the cartoon child should look like once all these lines are gone. This illustration is pretty awesome, but adding colors can make this one even better! You can select a darker skin color as shown below. The cap is red and the shirt is green. Pants are filled with a saturated brown color while the shoes are gray. 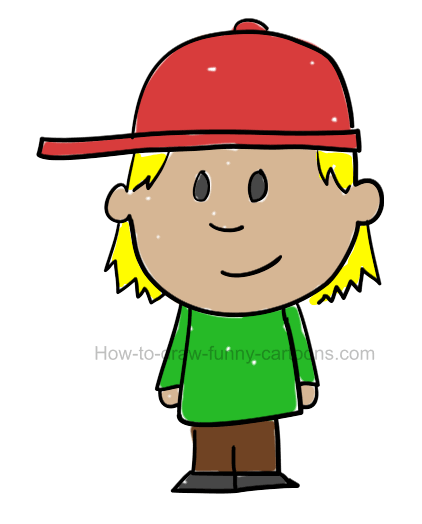 Finally, this character is blond, so make sure you are using the appropriate color for the hair. Time to draw more characters like this one!